Khawaja Saad Rafique would prefer to be addressed with the formal Urdu pronoun “aap” by the judges of the Supreme Court. 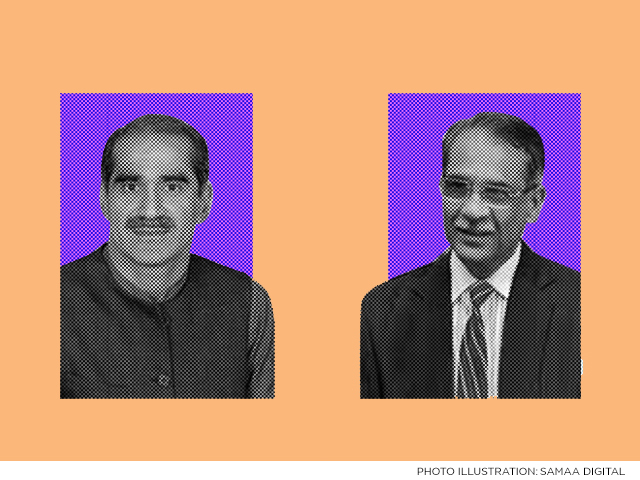 On Saturday, the former railways minister ran into some trouble during a hearing in front of the chief justice of Pakistan. The court had summoned him upon receiving an audit into the railway’s financial losses. Rafique has just stepped down as minister. He is associated with the PML-N and was elected an MPA in July. Chief Justice Mian Saqib Nisar asked Rafique to respond to the report in 15 days. You were the authority, said the chief justice. “Only God is The Authority,” Rafique retorted. And then Rafique asked the chief justice not to address him with “tum” (a diminutive term for you in Urdu). The judge asked why he was so angry. Rafique went on to say that how could he be expected to respond to the audit report so soon. It is a 1,000 page report. Perhaps the court should just tell him how he contributed to the downfall of the railways. “I have said it before, compare my tenure as railways minister to that of the one before me,” he said. The chief justice again asked him to mind his language. “Leave your arrogance at home,” he told Rafique. Rafique then said to the chief justice that even he did not have the right to disrespect him. “I rebuilt the railway that was in tatters,” Rafique said. To this, Justice Ijazul Ahsan asked him to give this in writing. The court then gave him 30 days to respond to the audit report.